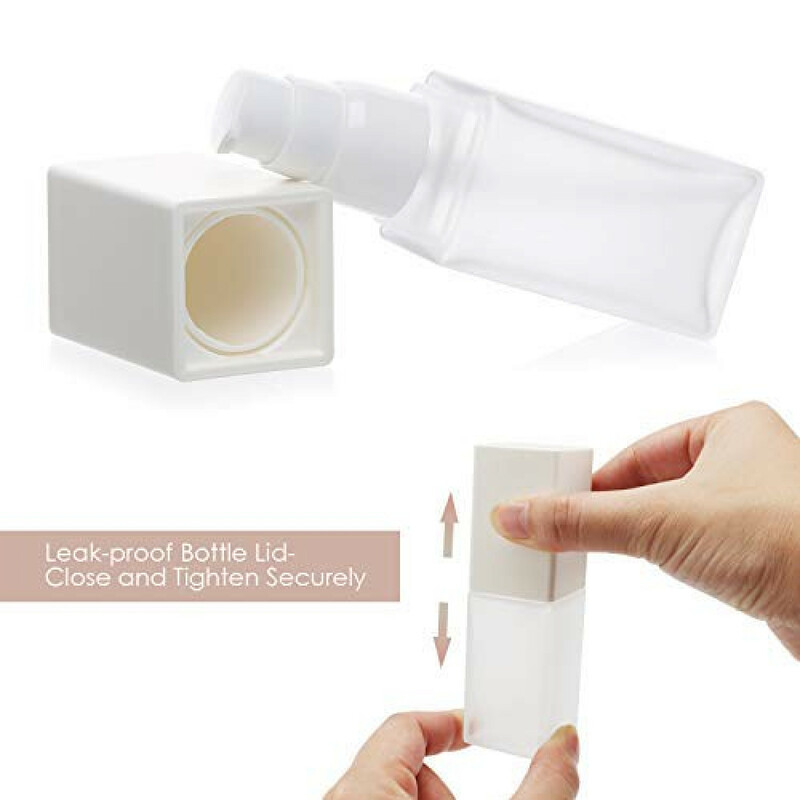 Leakage-proof and Dust-proof: double-layered lid design prevents the dust to get into the nozzle easily and ensures secure closure. Just push down the lid until it clicks. 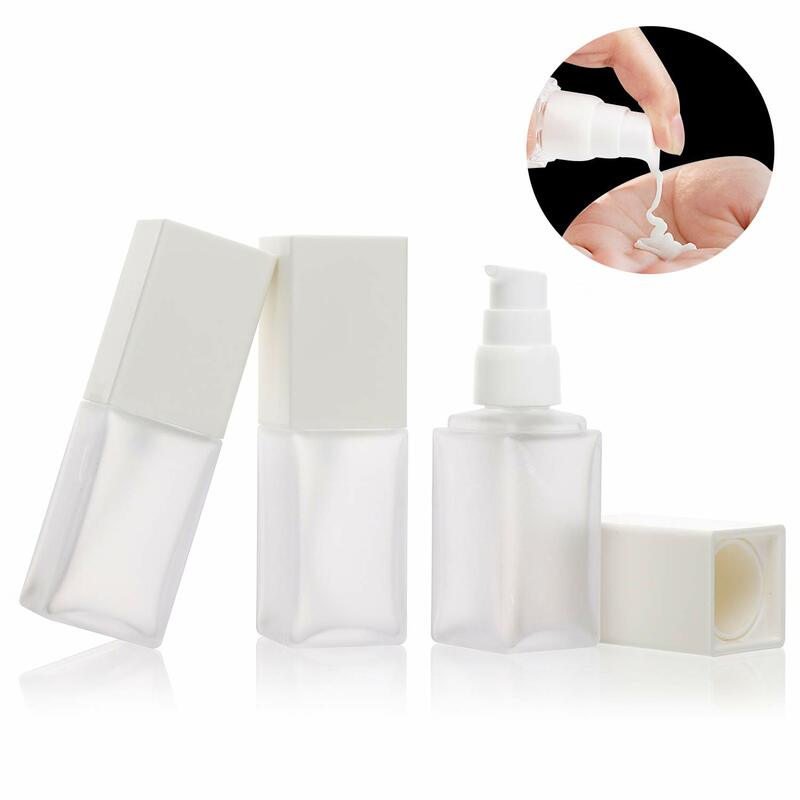 Tight and secure enough to prevent spill or leaks during travelling. 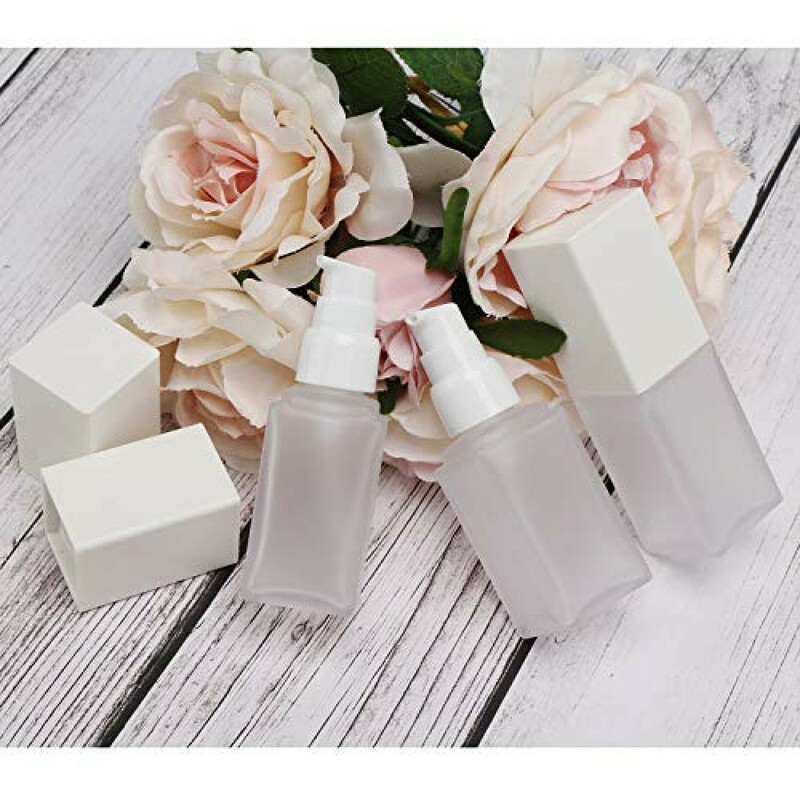 Easy to Fill and Pump: our pump head is carefully designed to help you effortlessly pump out just the right amount of lotion/liquid foundation without delivering too much products at one pump. 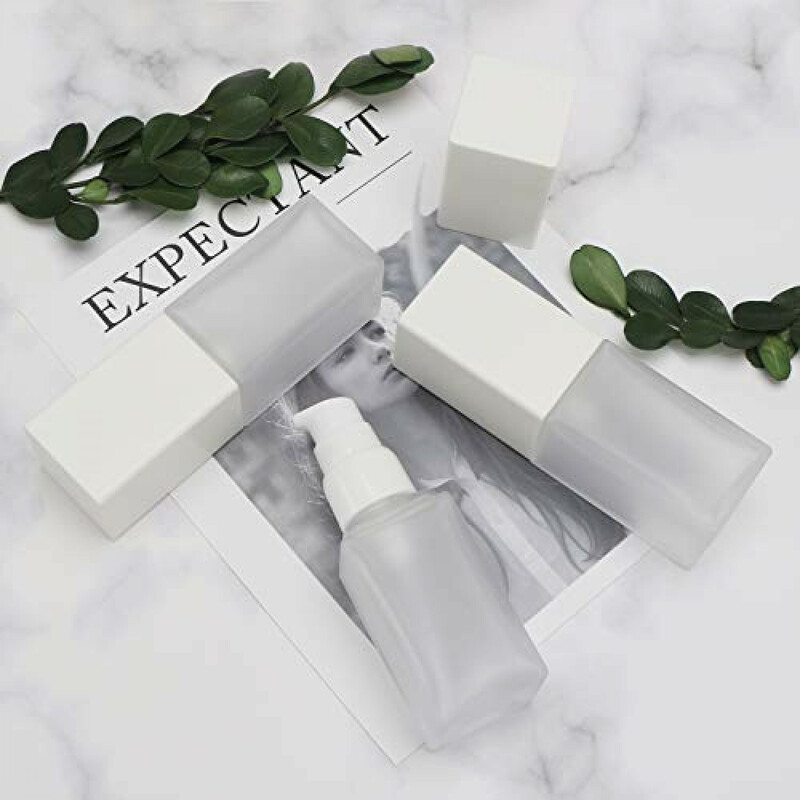 Clean Design and Perfect Size for Travelling: well-made plastic bottle body, lightweight but has the texture and look of frosted glass. Its clean and sleek design blends in with most dressers or travel cases. 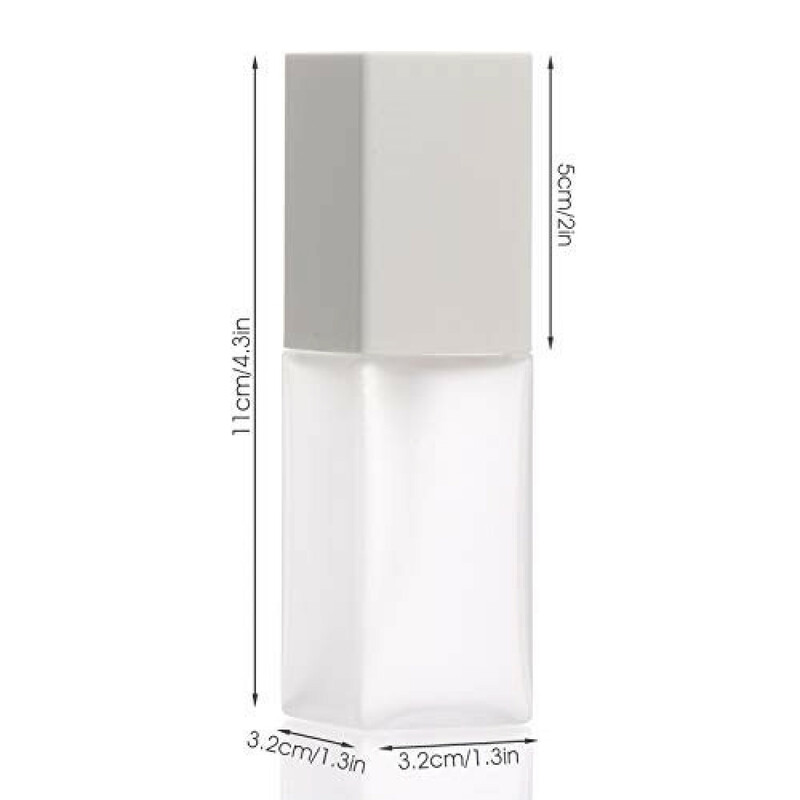 1oz/30ml volume will be sufficient even for a long trip. And 3pcs of bottles will get you all covered! Non-toxic Material: made from eco-friendly PET. 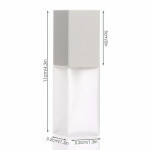 Our bottles won't release harmful chemicals into the content you filled in. Safe to store skin care products. 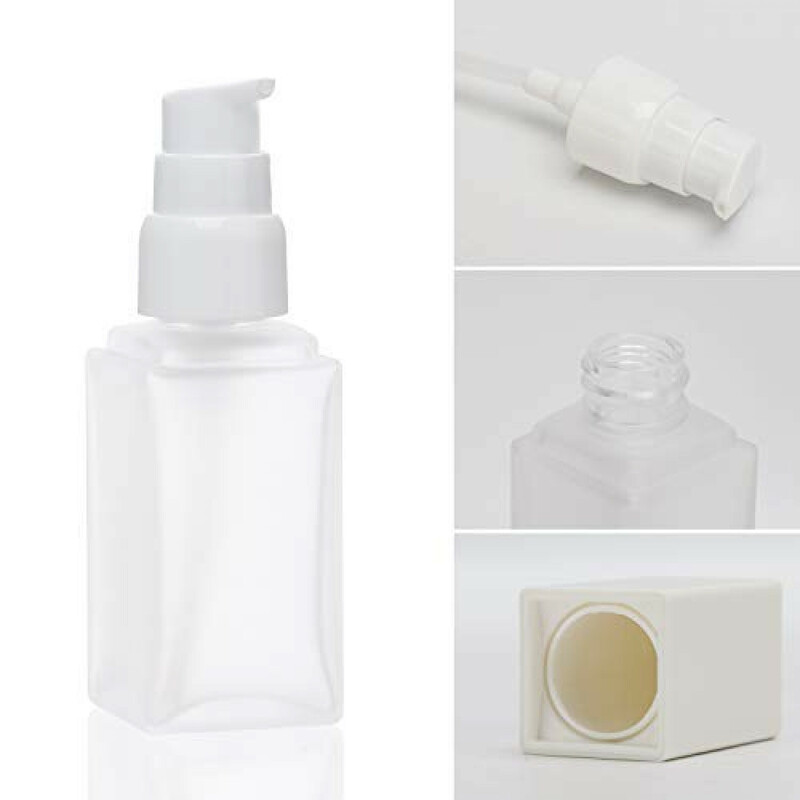 Versatile Bottle: works perfect as lotion, sunscreen lotion, liquid foundation, serum dispenser, travel shampoo bottle, hair conditioner and other skin care or hair care products. Recommended for both home or travel uses.